Observed effects like anti-inflammatory, antiparasitic, antimicrobial and digestive benefit can all result from one principle action – enzyme action. An observed effect, such as an anti-inflammatory one, can also have a variety of principle actions at its root: enzyme, eicosanoid balance and antioxidant. 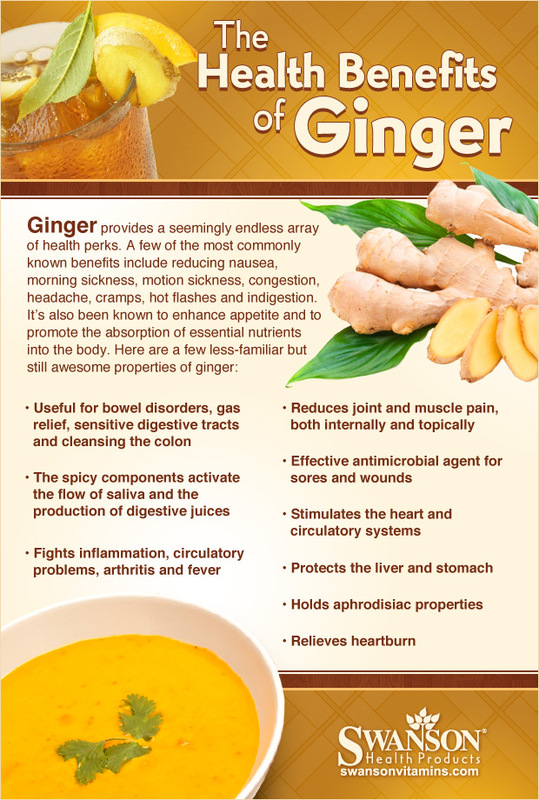 The anti-ulcer effect of ginger is complemented by a host of other important digestive values which include relief of both diarrhea and constipation, liver protection and probiotic support. The anti-nausea effect of ginger is well documented. From nausea resulting from chemotherapy and ocean travel to pregnancy and gynecological surgery, ginger is the natural treatment of choice. The historic observation that ginger is a cold remedy is a result of a combination of principle actions including eicosanoid balance, probiotic support, antitoxic and cytoprotective influences. Target Ailments: Menopause, menstrual cramps, morning sickness, nausea, rheumatoid arthritis, urinary tract infections. Available Forms: Capsule, cream, dried root, liquid extract, oil, powder, tea, tincture. Possible Side Effects: Can cause vomiting in large doses. Precautions: Individuals who are suffering from a hormone-sensitive cancer, such as breast or uterine cancer, should avoid wild yam. Watson, B. and Smith, L. (2008). The Detox Strategy: Vibrant Health in 5 Easy Steps. New York, N.Y.: Free Press. 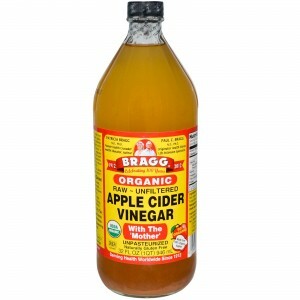 Properties: Antacid, antibacterial, antifungal, anti-inflammatory, antiseptic, astringent, digestive aid, stimulant. Target Ailments: Canker sores, contact dermatitis, diarrhea, eczema, food poisoning. Available forms: Capsule, dry herb, liquid extract, tea, tincture. 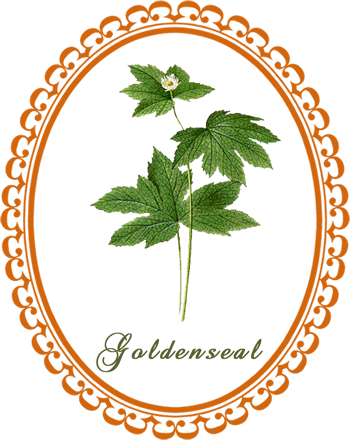 Possible side effects: In high doses, goldenseal can cause diarrhea and nausea and can irritate the skin, mouth and throat. An interesting and consistent theme running throughout the historical literature is ginger’s reputed value as an aphrodisiac. From the earliest recorded herbal formulations of India and China to its more modern applications in the Middle East and Cuba, ginger’s millennia-log reputation as an aphrodisiac is impressive. One of the principle reasons cited for the decline of ginger’s widespread use in the late seventeenth century was the transition from “the lusty Elizabethans” giving way to the Puritans and later the Victorians…where the unabashed use of aphrodisiacs became frowned upon. In the Middle East, historians of ancient cultures like Persia wrote that ginger was valued for its properties of clearing the brain. In China, ginger has long been regarded as an agent to stimulate appetite, improve circulation and balance hormonal flow. Various colors are associated with different types of energy. Red: invigorating life force in small amounts, can be energetically overwhelming with large or continual exposure. Leanne Venier, BSME, CP AOBTA, is an international award-winning artist, scientist, engineer and expert on color and light who regularly lectures about the healing effects of color, light frequencies and art at major medical centers, MENSA and elsewhere. She now combines her art with her past careers as a mechanical engineer, acupuncturist and eastern medicine practitioner to teach medical practitioners and lay people about the latest medical research on how to use color and art for healing purposes. * Color attributes and how we can use them every day to prevent and heal illness. 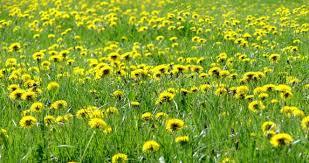 The following conditions can be helped by using dandelion in the form of a tea, tincture, capsule, or tablet. A general therapeutic dose is one cup of tea, one dropperful of tincture, or two 500 mg capsules or tablets three times daily. Please consult product labels for recommended use. The Benefits of Dandelion Tea: Anyone can make dandelion tea, simple and easy — and most people have them growing in their own yard or around their home. Dandelion tea has many health benefits, and in fact the botanical name: Taraxacum officinale means ‘Official Remedy in the Greek interpretation. These wonderful herbs have been used for centuries as a medicine and health tonic. One of the best and most efficient way to consume these nutritional benefits of dandelion is in a tea form. Easy to make. Easy to Drink! 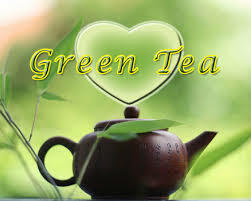 Green tea calms skin inflammation and is also full of other healing properties. Decrease stress and reduce exposure to sun and wind. Apply sliced raw cucumber to skin for 10 minutes to help improve redness. Cleanse face with 100% jojoba oil. Jojoba oil improves skin health because it contains omega 6 and 9 fatty acids and vitamins A, D and E.
Hunger Control: 1 to 2 teaspoons of organic apple cider vinegar with a glass of warm water 15-20 minutes before meals. Relieves sore throat: gargle for a minute every hour until your throat starts to feel better. 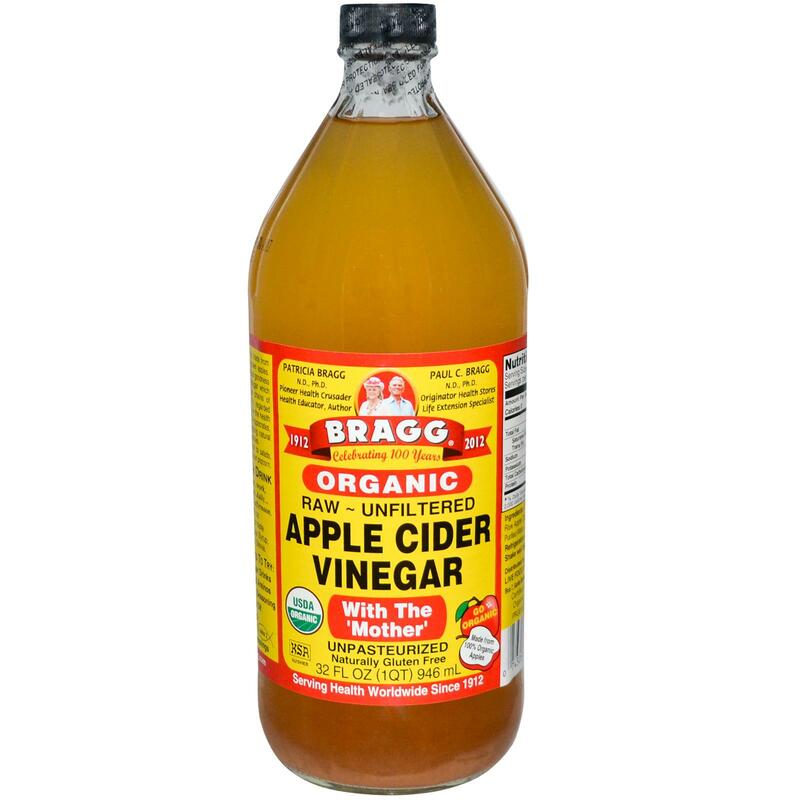 Flea Prevention: In order to keep flea’s away from pet’s skin and furniture, make a spray with 50% apple cider vinegar and 50% water. 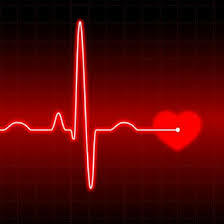 Natural remedies will not preclude the need for the care of a cardiologist. You should follow your doctor’s recommendations concerning your care, and don’t discontinue any medication without consulting your health care provider. The following measures are geared to work in conjunction with a supervised medical program. Giller, R. and Matthews, K. 1994. Natural Prescriptions. New York, N.Y.: Random House.